Adventures in a Crafting Life: WIP - Black and White Cushions! I'm excited, this is my very first commissioned project. 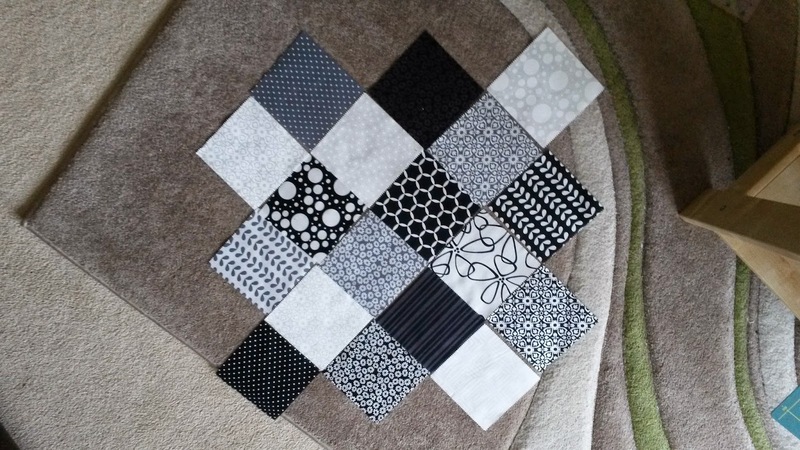 My husband's colleague wants some black and white cushions for her lounge. It's a fun one because black and white isn't a colour scheme that I'd ever have chosen for myself, so it really is something a bit different to play with. 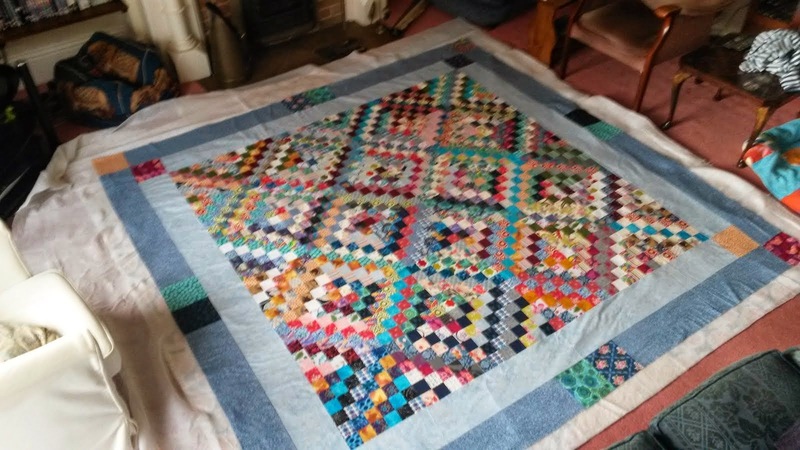 Cushions are fun anyway, because they are finished so quickly in comparison to quilts, and are a great chance to try out new designs before embarking on a whole quilt. 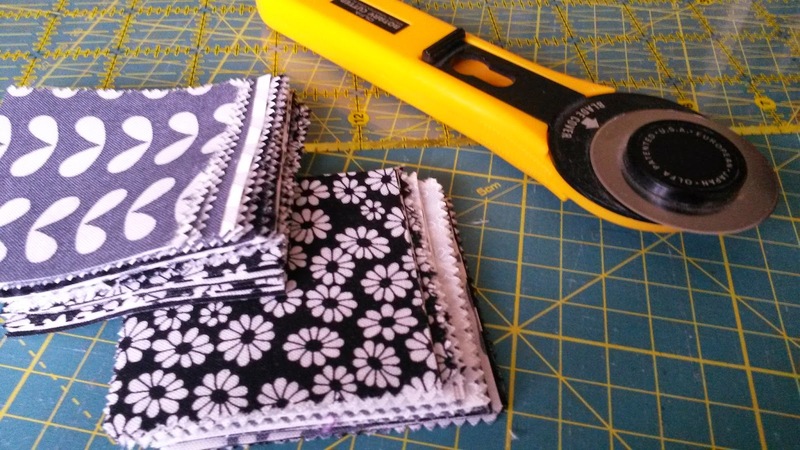 Taking a leaf from my Wren and Friends cushions, I bought a charm pack in Shades of Black and White by Moda and a metre of moda bleached white fabric, and started planning. I'm aiming to do three cushions, and got the pieces cut out at lunch time today. And as the clothes ironing got done yesterday, sewing can start tonight! This will look great when it's finished. You have some lovely fabrics here.